New results from Chandra and other X-ray telescopes have provided one of the most reliable determinations yet of the relation between the radius of a neutron star and its mass. Neutron stars, the ultra-dense cores left behind after massive stars collapse, contain the densest matter known in the Universe outside of a black hole. 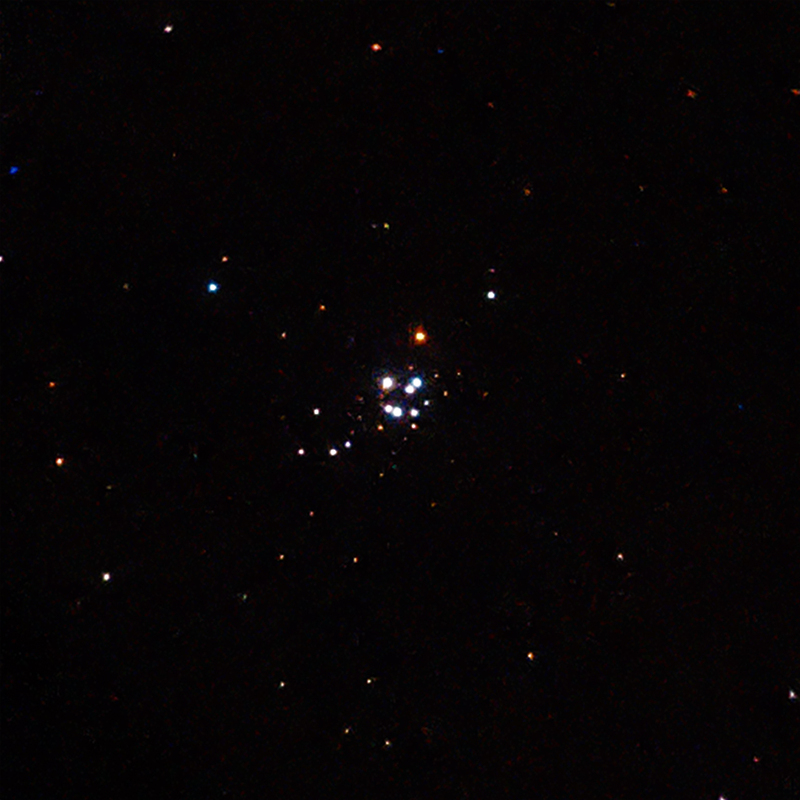 This image contains data from a long Chandra observation of 47 Tucanae, a globular cluster where one of the eight neutron stars in the study is found. Lower-energy X-rays are red, those with intermediate energies are green, and the highest-energy X-rays are shown in blue. Neutron stars, the ultra-dense cores left behind after massive stars collapse, contain the densest matter known in the Universe outside of a black hole . New results from Chandra and other X-ray telescopes have provided one of the most reliable determinations yet of the relation between the radius of a neutron star and its mass. These results constrain how nuclear matter - protons and neutrons, and their constituent quarks, interact under the extreme conditions found in neutron stars. This optical image of the globular cluster 47 Tucanae combines data from the Digitized Sky Survey with data from the 2 Micron All Sky Survey. 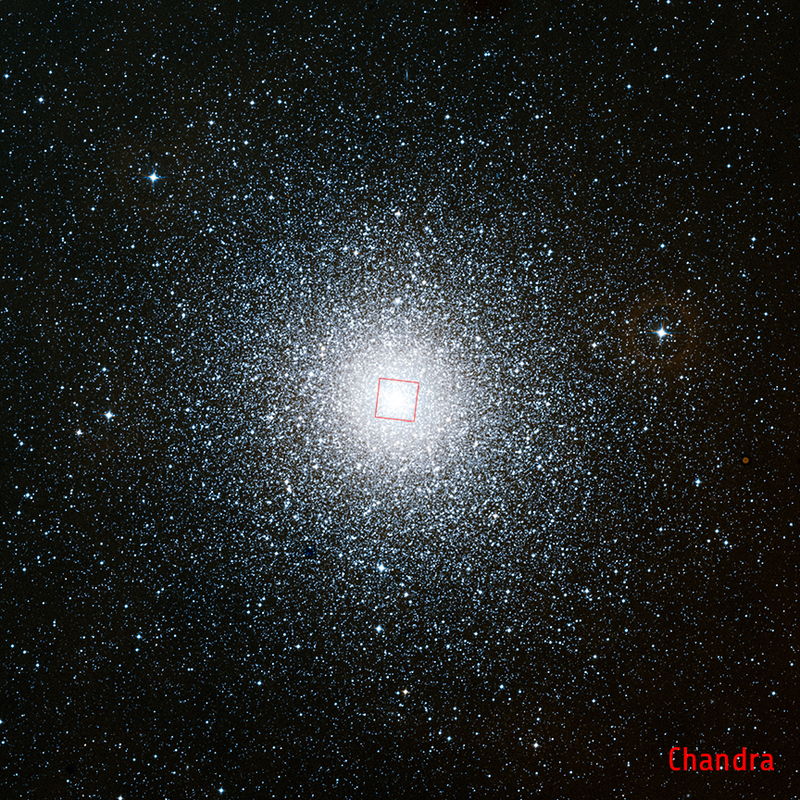 The red outline in the labeled image depicts the field of view for the Chandra observation.